The Starfish Canada is a volunteer run organization working together to celebrate and amplify the Canadian youth conservation movement. Click below to scroll and meet our dedicated teammates. Kyle is a civic engagement specialist with a masters degree from Simon Fraser University's School of Resource and Environmental Management. Kyle hopes to bring guidance and mentorship to The Starfish Canada as it grows and develops into a common source for youth engagement for Canadians. In his spare time, Kyle likes to swim, run and cycle (although has yet to attempt a triathlon). Kyle est un diplômé de l’Université Simon Fraser, à la maîtrise en gestion des ressources et de l’environnement.. La passion de Kyle réside dans les initiatives de conservation et il est heureux d’aider d’autres groupes à créer l’excitation à propos de leurs buts communs. Dans ses temps libres, Kyle aime skier, courir, nager et faire du bénévolat pour des organismes à buts non lucratifs en faisant avancer les causes communes de celles-ci. Sujane Kandasamy is a current doctoral student and Vanier Scholar at McMaster University. She also holds an MSc (Epidemiology), BScH (Biology), and BA (Anthropology). Her research interests are in the health and early life determinants of chronic disease. Sujane enjoys working with youth on hands-on biology and biodiversity workshops and training educators on innovative ways to inspire communication and leadership skills in the classroom. Sujane Kandasamy est nouvellement dîplomée de la maîtrise en épidémiologie clinique de l’Université McMaster. Elle détient également un baccalauréat en biologie ainsi qu’un baccalauréat en anthropologie. Ses sujets d’intérêts pour la recherche sont la santé autochtone et les déterminants précoces des maladies chroniques (avec les déterminants sociaux sous l’angle de la santé). Sujane apprécie travailler avec des jeunes sur des travaux pratiques au sujet de la biologie et de la diversité. Elle croit fermement qu’avec chaque étape positive (aussi petite qu’elle soit), nous pouvons construire un futur propre et sain. Avvai has boundless enthusiasm for learning and is forever grateful for libraries. She loves diving into all sorts of topics and devouring everything she can about it. Her mission is to make science information more accessible through visual and digital communication in hopes of sparking curiosity in others. She also loves a good infographic and hopes to one day be deconstructing complex ideas using art and design. Currently, she’s pursuing a Masters in Publishing at Simon Fraser University and is a freelance graphic designer. Over the years she’s obtained a Bachelors degree in Biology, assisted in a Tilapia research lab, and worked at an aquarium. When she’s not exploring libraries and bookstores, she can be found biking, traveling, or making pies. 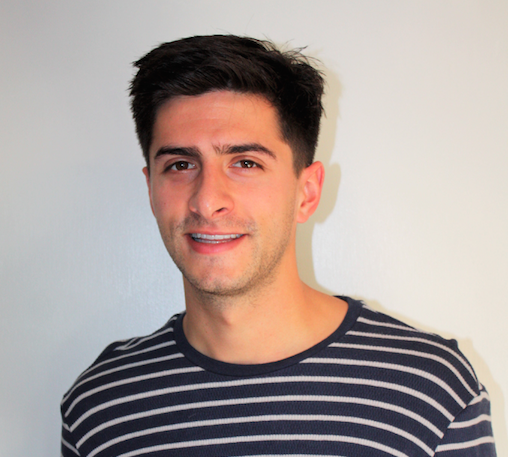 Joe is a recent graduate of Queen's University with a Double Major (BAH) in Global Development and Film. Joe has worked on developing and delivering programming locally (YCDSB), provincially (OSTA-AECO) and nationally (Parks Canada). During his time at Parks Canada Joe learned the importance of educating, protecting and sharing Canada's natural beauty. He hopes to bring his love of nature and experience into to The Starfish Canada as they develop their educational programs. When he is not working as a photographer, Joe spends most of his time writing, recording and performing music all over Ontario. Kelcie is an innovator and social entrepreneur based in Calgary. She currently splits her time speaking to future leaders and on her environmental startup, MycoRemedy. One of her very first words was “Why” and since the day she asked her first question she hasn't stopped. She is passionately curious and loves to use science and innovation to solve big problems. An acclaimed innovator and social entrepreneur, Kelcie started her research into developing novel remediation methods for the Alberta Oil Sands at just 15 and by 21 she had founded her first company, MycoRemedy. She is a dedicated environmentalist and fierce industry advocate, with her sights set on changing the way the world remediates. Kelcie has been recognized several times as an up and coming leader in both oil and gas and sustainability as well as receiving numerous awards for her work as an environmentalist, innovator, and scientist. She is one of Canadas Top 20 Under 20, Next 36, and a Manning Youth Innovation award winner. Passionate about creating change, she believes one of the best ways to create the largest impact is by empowering the next generation of changemakers. She aims to encourage the next generation to treat their age as an advantage and embrace their curious side. Mila is a graduate of UBC's Environment & Sustainability Geography program. Mila has worked for Alberta Parks, Parks Canada, and environmental non-profit organizations in an environmental education and wildlife management capacity. She is passionate about connecting youth to nature and supports a wide variety of conservation initiatives. Mila lives in Calgary and can be found hiking, skiing, reading and adventuring in her spare time. Josh Gordon is a graphic designer, art director, illustrator, and an Earth enthusiast. After completing studies at Sheridan College and St. Lawrence College, Josh pursued his love for graphic design and the environment by working with clients such as Parks Canada, Royal Botanical Gardens, Friends of Algonquin Park, and Conservation Halton (to name a few). Josh has a intuitive sense for ensuring that brands, such as The Starfish, are presented consistently both visually and in the way they are communicated. Tomasz is an aspiring environmental communicator with an interest in youth empowerment and effective collaboration. He has pursued his interests with various projects within his local community (Hamilton Harbour / Bay Area Restoration Council, Burlington Green), nationally (Canadian Forestry Service, Earth Day Canada, Parks Canada) and internationally (CoalitionWILD, the International Union for the Conservation of Nature, Wild10, the World Parks Congress). He aspires to connect people with nature and encourage a thoughtful collaboration on many scales that will better our planet. He also loves tea and travel. Tomasz est un communicateur environnemental aspirant, avec un intérêt pour le développement de l’autonomisation des jeunes et d’une collaboration efficace. Il a poursuivi ses intérêts avec divers projets dans sa communauté locale (Hamilton Harbour – Conseil pour la restauration de la baie, burlington green) nationale (Service canadien de foresterie, le Jour de la Terre du Canada, Parcs Canada) et internationale (la CoalitionWILD, l’Union internationale pour la conservation de la nature, Wild10, le congrès mondial des parcs). Il aspire à connecter les gens avec la nature et encourage une collaboration réfléchie, à différentes échelles, qui permettra d’améliorer le sort de notre planète. Il aime également le thé et les voyages. Melanie Fox-Chen recently finished her undergraduate degree in biology at McMaster University. Her undergraduate thesis focused on cancer research but she is also interested in sustainability and conservation projects. In her spare time, she likes to volunteer with animals and travel. Through The Starfish Canada, Melanie hopes to inform her peers on relevant environmental issues and inspire them to protect their planet. Audrey Morin studied leisure, culture and tourism at the University of Québec in Trois-Rivières. Born and raised in the countryside, she has always cared about the environment. This passion became more concrete while she was in university where she focused on sustainable tourism. She aspires to convince her generation to travel in a more sustainable way, while being in harmony with the communities and the environments they visit. This mission is what earned her a place on The Starfish Canada's Top 25 for 2015. 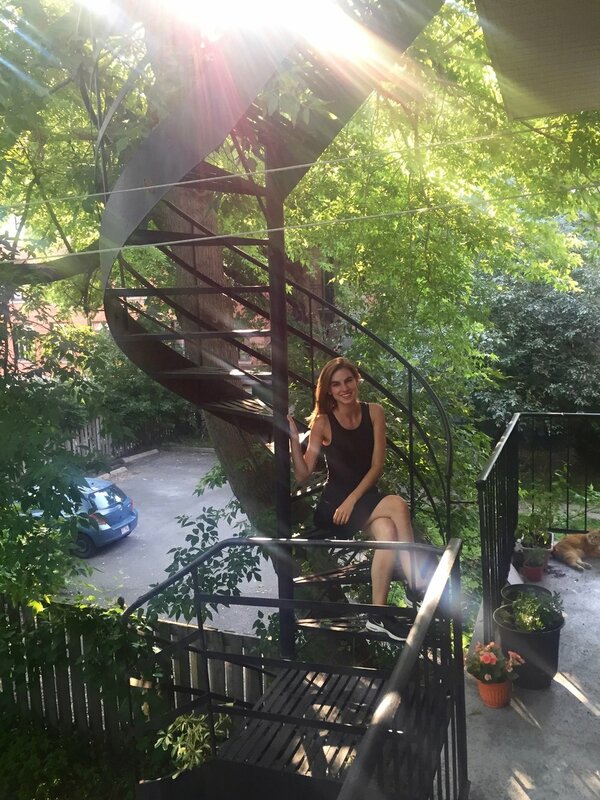 Fervent promoter of the French language, Audrey has chosen to invest herself with The Starfish Canada to facilitate access to the programs offers by this organization for others French Canadians, whom, as her, want to share and amplify their passion for the environment. 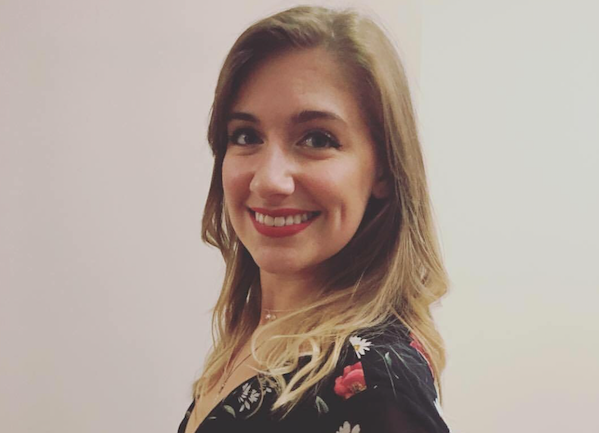 Audrey Morin a récemment complété son baccalauréat en loisir, culture et tourisme à l’Université du Québec à Trois-Rivières. Ayant grandi à la campagne, elle a toujours eu un important souci pour l’environnement. Cette passion s’est finalement concrétisée davantage lors de son parcours universitaire où elle a mis l’accent sur le tourisme durable dans la plupart de ses travaux et implications. Elle aspire à convaincre sa génération à voyager de façon plus durable, tout en étant en harmonie avec les communautés et l’environnement des lieux visités. Cela lui a d’ailleurs valu une place dans le top 25 de 2015. Fervente promotrice de la langue française, Audrey a choisi de s’investir avec The Starfish pour faciliter l’accès aux programmes offerts par l’organisme pour les autres franco-canadiens, qui comme elle, ne demandent qu’à partager et amplifier leur passion pour l’environnement. Graeme Reed holds a BES (International Development) and Diploma in Environmental Assessment from the University of Waterloo and a MSc (Natural Resource Sciences) from McGill University. In his day job as a Senior Policy Analyst with the Assembly of First Nations, he enjoys advocating for the inclusion of First Nations in the climate change - and broader environmental - policy dialogue. While at home, he likes thinking about new ways of getting youth (particularly First Nations, Inuit, and Métis), more involved in climate action both at a grassroots and national level. He enjoys reading, cycling, and travelling. 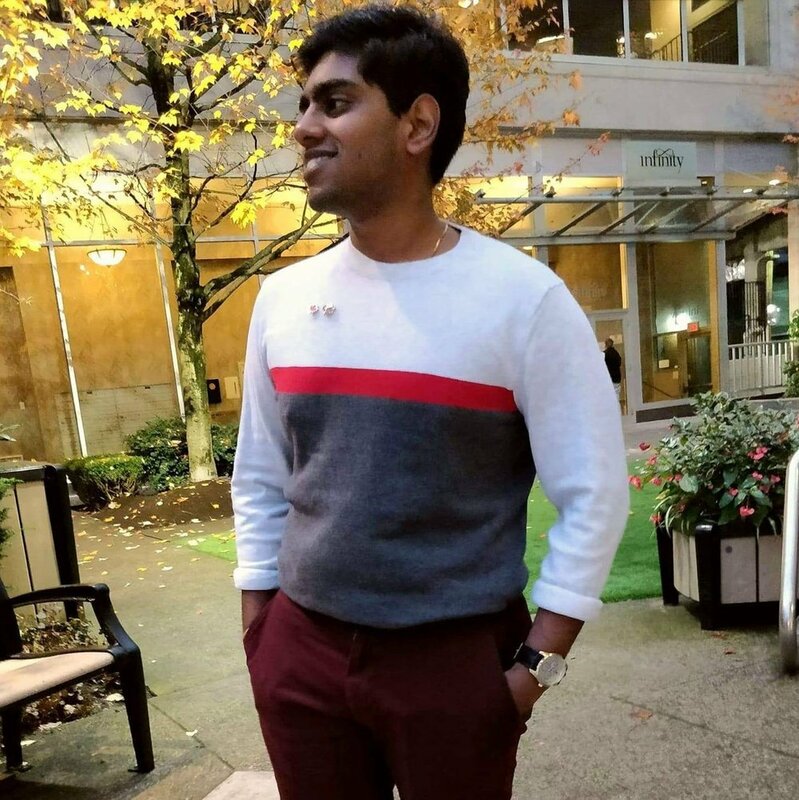 Ian Sivanandan is a student of Electrical Engineering at the University of Victoria, specializing in Electrical Energy and Digital Signal Processing. He has been a member of the UVic aviation club AERO since 2014, where he was elected as the embedded systems lead in 2017-2018. In this time, the team placed first in the Unmanned Aerial Vehicle competition in 2018. During his time at UVic, Ian has also gained experience from working internships as an electronics engineer in Vancouver and as a network communications engineer in Powell River. He has a keen interest in project management and has spent his career focusing on the development of associated skills. In his spare time, Ian likes to get out and enjoy nature, be active, cook, and relax at home. In the future, Ian hopes to develop more skills to contribute to The Starfish Canada during and after the completion of his degree. Calley Wasser has a BSc in Marine and Freshwater Biology from the University of Guelph. Now living on Vancouver Island she is pursuing her career as a marine biologist and exploring the magic and beauty of the Pacific Northwest. She believes that the best way to encourage environmental sustainability is to communicate scientific findings in an interesting and engaging way. In her spare time, Calley loves climbing, travelling, and adventuring outdoors. Nicolas holds a Masters in bioengineering (Environmental Technologies) and a certificate in Entrepreneurship from the Université Catholique de Louvain and a Masters in International Business Economics and Management from Katholieke Universiteit Leuven. He had the opportunity to work in a pharmaceutical business for 1.5 years to finally find his path as a project coordinator in a digital program. Originally from Belgium, Nico just settled in Vancouver to start a new life, looking for new opportunities to learn and evolve. In is spare time, he is discovering British Columbia through hikes, ski and road trips while is not exercising with friends. In the future, Nicolas hopes to be involved in sustainable projects to build a better world for future generations. Dimitri comes from Belgium and holds a bachelor’s degree in the science of nursing from HEPN university in Namur. Fresh to Vancouver and already in love with the wonderful nature that British Columbia has to offer, he has always felt concerned about the environment. During his spare time, he loves to travel, run, hike, ski and do many other activities to enjoy the fresh air. He takes care of people for a living and he wants to be part of a movement that takes care of this planet. Dimitri thinks that being involved in The Starfish Canada is the perfect place to help people to make a difference. Born and raised in Vancouver, Jennifer is currently studying Forest Sciences at UBC with a specialization in Forest Ecosystem Services. Jennifer, with a passion for health and forestry, is eager to use her research to show how maintaining a close connection with nature can help improve overall health. She is passionate about getting individuals outside to develop their own passions for the outdoors and to spark feelings of stewardship in order to help combat climate change. She has worked for Parks Canada developing community outreach programs for all age ranges and has led a team of high school students in environmental restoration activities for the City of Surrey’s Salmon Habitat Restoration Program. Jennifer also strives to maintain a global perspective in her work which has found her working for Singapore’s National Parks Board and, currently, analysing energy policy solutions for Environment and Climate Change Canada in Ottawa. In her spare time, Jennifer enjoys nerding out over movies and tv shows in addition to eating copious amounts of sushi, tacos, and dessert. Camille is an Environment and Sustainability graduate from the University of British Columbia’s Geography Department. Aside from writing and editing, she is also a local film and television actress and jewelry artist. Camille has done environmental restoration and raised native plants with the Galiano Conservancy Association in B.C.’s Gulf Islands, volunteered on an organic farm, food forest and vineyard in Italy, tutored children for French and taught an array of art and nature related summer camps. In her spare time Camille can be found immersing herself into different cultures abroad, kayaking, hiking and skiing on B.C.’s coast, indulging in tea, growing and preparing her own food, drawing t-shirt graphics featuring birds and trees of B.C. and delving into the craft of acting. Camille vient d’obtenir son baccalauréat en viabilité environnemental dans le programme de Géographie à l’Université de la Colombie Britannique. Elle est aussi actrice de cinéma et de télévision et fabrique des bijoux. Elle a fait de la restauration de l’environnement avec l’Association de Conservation de l’Environnement sur l’ile Galiano, du bénévolat dans une ferme, un vignoble et une foret alimentaire organiques en Italie et à enseigner plusieurs camps d’étés. Quand elle a du temps libre Camille aime explorer d’autres cultures, faire du kayak, de la randonnée et du ski sur la côte ouest, boire du bon thé, faire pousser et préparer sa propre nourriture, dessiner des oiseaux et des arbres comme graphiques de t-shirts et plonger dans l’artisanat du théâtre. Sarina is a born and raised west coaster, growing up on Vancouver Island and in Vancouver. She did her Bachelor's degree in Biology at UBC specializing in marine conservation and working with the IUCN and Project Seahorse during her final project. She finished her Masters in conservation and biodiversity at the University of Exeter in the UK, and her thesis was focused on building a statistical model to predict the conservation status of data deficient mammals as outlined by the IUCN. She has worked as a field biologist tagging red squirrels in the Yukon, and collecting insect larvae in the cloud forest of Costa Rica. She is committed to conservation, and believes that the greatest asset to the success of any conservation project is the cooperation and engagement of the public, especially youth. Melissa Ray is a Registered Early Childhood Educator with over 10 years experience in the field. She possesses a B.A. in English along with various diplomas and certificates and has over 5 years proofreading/editing skills. Melissa enjoys reading, listening to music and learning new languages (French at the moment). She fluently speaks two languages and is conversational/beginner level in two. Gabe Senecal has a BA in Regional and Urban Planning with the distinction of High Honours from the University of Saskatchewan. Originally from a farm near Melfort, Saskatchewan, he now calls Vancouver home. Formerly involved in student union politics, Gabe served as the Vice President of Academic Affairs of the University of Saskatchewan Students’ Union for the 2015-16 school year. Gabe enjoys reading extensively about public policy issues and unwinds by playing sports. Amir possesses a B.Sc. and M.Sc. in Mech. Eng. and is currently a PhD student in Biomedical Eng. at University of Toronto. Originally from Isfahan, a picturesque city in Iran, Amir has been living in Toronto for over three years. He is passionate about reading and writing on various issues/topics that people are dealing with nowadays. Amir sees Starfish as an opportunity to not only improve his writing skills, but also contribute to the community of Canadian youths. Josephine is a graduate from the University of British Columbia with a Bachelor of Science in Oceanography and Biology. She is interested in environmental sustainability and increasing its accessibility through public education and outreach. In her spare time, Josephine enjoys travelling, reading, and being led fully by her stomach whatever she does. Charlotte is a student working towards a Bachelor of Science in Health Informatics at the University of Victoria. She has spent most of her life on the West Coast and enjoys getting out to enjoy its scenic beauty. She has a strong interest in sustainability and believes that tackling environmental issues is an essential way to improve the state of many other problems that exist in society, such as inequities in health. She is interested in environmental policy and raising awareness for environmental issues. Some of her hobbies include reading (mainly fiction and philosophical works), hiking, archery, and playing music. Andrea grew up in a small town north of Edmonton before moving to the west coast to attend university. While studying at the University of Victoria, she was surprised by the diversity of habitats found on Vancouver Island, as well as the number of opportunities to engage with nature in dozens of local parks and beaches. After graduating with BA double-major in Anthropology and Environmental Studies, she decided to stay and call Victoria home and was delighted to find work as an environmental educator. She loves to encourage people to use their senses to connect to nature by smelling a citrusy grand fir needle or touching a slimy moon snail. She sees writing for The Starfish Canada as another means of engaging an audience and fostering a connection to the natural world. Hailing from the beaches of White Rock, B.C., Jennifer is an unwavering optimist who seeks value in all of life’s situations; thus maintaining an open mind that fuels her perpetual pursuit of adventure. She holds a B.A. in English Literature and Law & Society from UBC as well as an M.A. in Intercultural and International Communication from Royal Roads University. Jennifer possesses a deep appreciation for the human condition, animal and environmental rights, and believes in contextualizing the stories of others through a compassionate and intersectional lens. Jennifer aims to challenge mediocrity, create art, and cultivate connection in this world. Victoria Chong is an environmental activist, who aspires to be a serial changemaker. Having just entered the second year of the AP Challenge Program, she helps plan the future big initiatives for social change and contributes to youth advocacy and opportunities. She loves collaborating with new people, trying new things, and exploring her passions. She is incredibly high maintenance, and despises those who judge her for drinking a lot of bubble tea. Aishwi Roshan is a first-year medical student at the University of British Columbia. She is the founder of Vancouver's Largest Clothing Swap, and has worked for various environmental organizations at UBC including Common Energy, UBC Sustainability Ambassadors, and the UBC Sustainability Student Council. Aishwi is interested in exploring the intersection between health and the environment, and continues to foster a passion for zero waste and community outreach. In her spare time, she enjoys practicing Indian classical dance, hiking, and learning about different cultures. Diego is currently studying kinesiology at the University of Waterloo with specializations in Neuroscience and Anatomy. A resident of the Waterloo region, Diego has actively participated in protecting the regions groundwater and ecosystem. He enjoys reading, writing and staying active. Diego has competed in various different sports including ninja warrior, kung fu and kickboxing. Sarah Jokhu holds an Honours Bachelor of Science from the University of Toronto with a double major in Biology and Psychology. It was during that time she discovered her passion for sustainability purposes through leadership roles with Oxfam and Help Fight Ebola Canada. She is a member of ECO Canada as an Environmental Professional in training (EPt). Her passion for the outdoors is often experienced through runs in the park and biking. Selina is an undergraduate student at the University of Victoria, studying Environmental Studies and Geography, with a focus in Urban, Health, and Development Studies. She has spent her whole life living in different towns on the west coast, which has inspired her passion for environmentalism. Selina is passionate about social and political change, so you can find her quietly participating in related initiatives. You can also find Selina walking along beaches, in forests, up mountains, reading, drinking coffee, or doing a combination of those things. Dali Carmichael is a trained journalist who has lived and worked in Ontario, the Northwest Territories and northern Alberta. Having written about a wide variety of environmental and social issues, she decided to change gears and is currently a graduate student at York University, where she is obtaining her Masters in Environmental Studies with a specialization in urban and regional planning. She enjoys vigorous debates, a good cup of coffee, and exploring nature. Jas often thinks about how to address conceptually complex problems with impactful, local solutions. In her past work, she used this focus to obtain her B.A. (Honours) in Philosophy and Political Science from the University of Victoria, teach creative technology skills to children and youth, and work in politics and governance as a BC Legislative Intern. In her current work as a policy nerd and sustainability enthusiast, Jas supports communities to affect change through innovation, systems thinking, and respect for younger generations. She is particularly interested in food, and enjoys supporting the resiliency of local food systems, advocating for equitable food security, and cooking delicious meals inspired by her French and Trinidadian heritage. Jas has lived for most of her life on the territories of the W̱SÁNEĆ and Lekwungen peoples in the Victoria, BC area. On weekends, you can find her riding her bike, bouldering, kayaking, hiking, and eating a lot of brunch. Alan is a keen intrapreneur with an eye for good questions and a lens for systems thinking. Raised in Vancouver and educated in Montreal, he embodies a gentle masculinity and an anti-oppressive approach in his interactions, politics, and work. Alan’s pool of working experience comes from his time with McGill University’s sustainability community. Having completed a B.A.Sc. in Sustainability and Urban Systems, his personal diary of initiatives includes chapters on a leading a student-led placemaking group, living in an urban sustainability collective, as well as sitting on a committee to help seed-fund community-led sustainability initiatives on campus (all, he’d like to add, on rollerblades). In recognition of his efforts, Alan was awarded with the McGill University Emerald Key Catalyst Award in 2015 and was named onto the Corporate Knight’s 2016 Top 30 Under 30 Sustainability Champions in Canada List as well. Currently, Alan works as an excitable assistant social planner with the City of Vancouver on the Vancouver Immigration Partnership, as well as a Program Liaison with Growing Chefs! Devon Deckant is a Vancouver-based educator and steward aspiring to make outsized contributions to social & environmental causes. Spanning various disciplines, formats, and audiences, Devon's experience includes public education and outreach, curriculum development, natural resource management, and volunteer coordination. He completed his Masters studies at the University of British Columbia in social-environmental interactions, analyzing ideas which have kept him intrigued for many years. His greatest joys in life include a good breakfast and sleeping outside. Victor Ngo is an urban planner and researcher with five years of experience in consulting, academia and government working on sustainable community development. He is currently a transportation planner with WATT Consulting Group and a Research Associate at the University of British Columbia, where he advises public & private sector clients and conducts research on transportation infrastructure and urban development issues. Born and raised in Vancouver, Victor holds a MA in Planning and a BA in Geography from the University of British Columbia. In his community, Victor is passionate about promoting youth leadership in sustainability and civic affairs. He currently sits on the Fraser Basin Council's Youth Program Advisory Committee and has formerly served on the Vancouver Foundation's Youth Vital Signs Leadership Council and the UBC Development Permit Board. Victor is a photographer in his spare time, and has travelled extensively across North America, Europe, and Asia. Harry Orbach-Miller is a Master of Public Policy student at the Munk School of Global Affairs & Public Policy and presently serves as a Governor of the University of Toronto. Harry is interested in furthering policy that helps build more prosperous and sustainable communities. Passionate about amplifying student and youth voices in the policy process, Harry has represented their interests and perspectives to every level of Canadian government. Moreover, he has held advisory roles with the Ontario Ministry of Advanced Education and Skills Development, eCampus Ontario, and the Centre for Addiction and Mental Health. Previously, he was a two-term Senator at Western University, the latter of which he served as the Chair of Western Student Senators, where he successfully advocated for various student priorities. 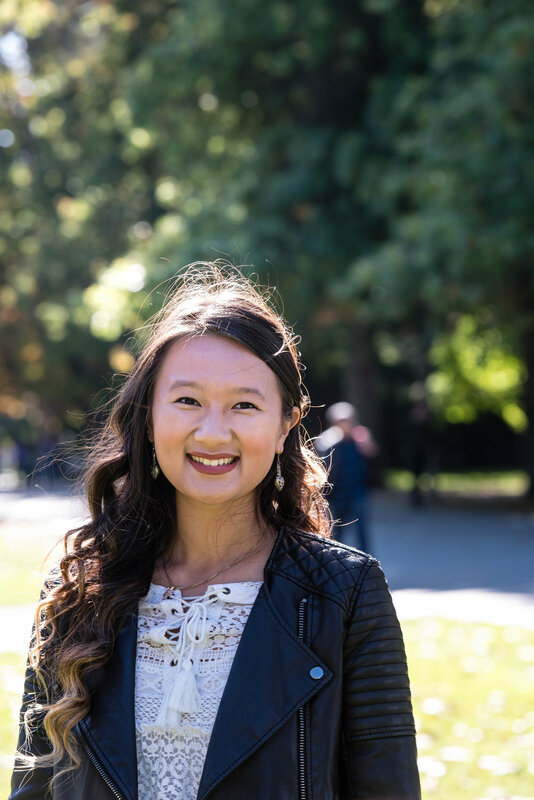 Tesicca Truong is a sustainability activist, a serial changemaker, and an engagement innovator born and raised in Vancouver. Her passions lie at the intersection of youth empowerment, citizen engagement, and community building. She kick-started Vancouver Youth4Tap, a city-wide movement to promote tap over bottled water and co-founded the Vancouver School Board Sustainability Conference. She has served on the Mayor’s Engaged City Task Force, the Simon Fraser Student Society, SFU Senate, and as board chair of Embark (formerly Sustainable SFU). She was named as the Starfish Canada’s Top 25 Under 25 Environmentalist twice, before she became a judge for the program. She was also awarded Vancouver’s Greenest City Leadership Award in 2015 and has been named on Corporate Knight’s Top 30 Sustainability Leaders under 30 in 2016. Her latest work, CityHive, is to engage young people in the planning, design, and shaping of their cities! She loves kayaking on the West Coast, going on midnight adventures in the city or escaping the city to explore the mountains. Want to make a difference with The Starfish Canada? We are looking for passionate, creative volunteers that can develop their skills while contributing to our cause. See our opportunities page for details.